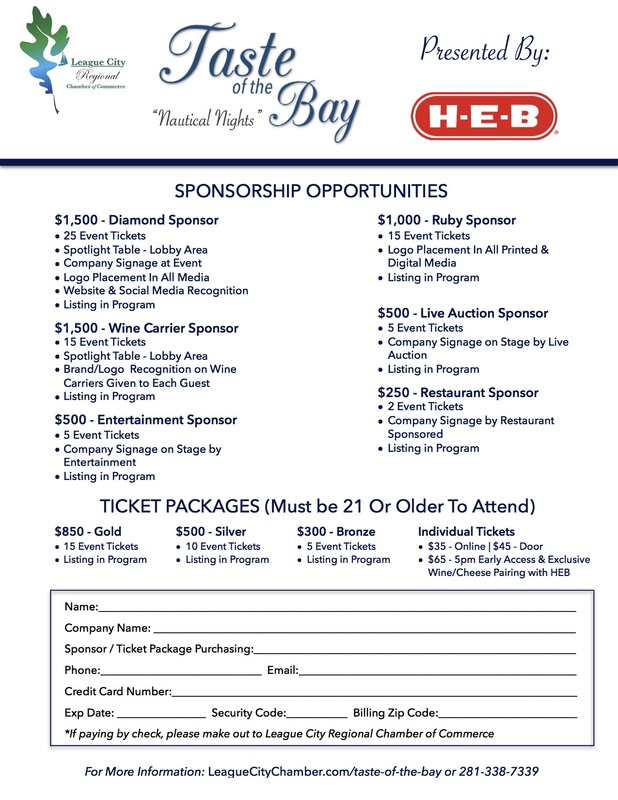 If you're looking for something engaging and culturally aware, you won't want to miss the League City Regional Chamber of Commerce's "Taste of the Bay: Nautical Nights", presented by HEB. 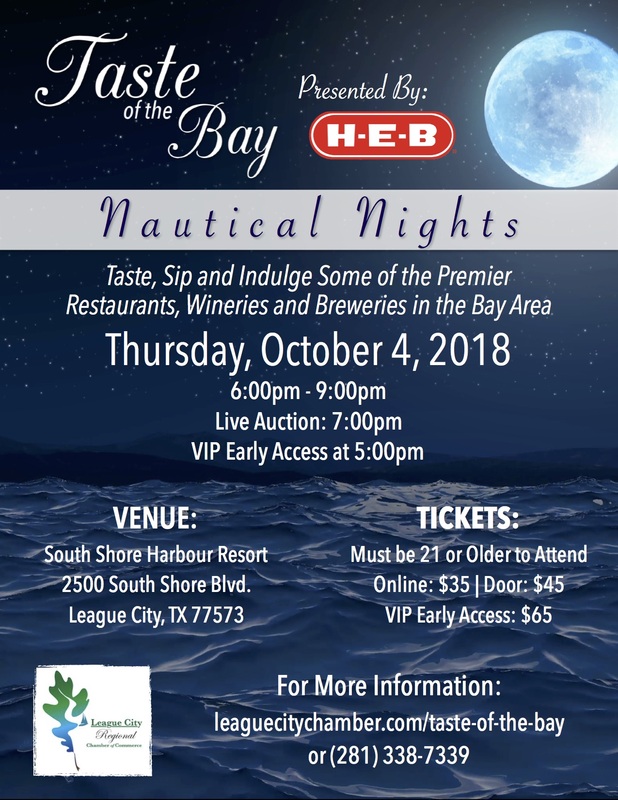 Hundreds of the Bay Area's foodies, wine enthusiasts and the culinary curious will gather at the always elegant South Shore Harbour Resort and Conference Center for a night of music, delectable tastings and a live auction on Thursday, October 4th from 6pm to 9pm. 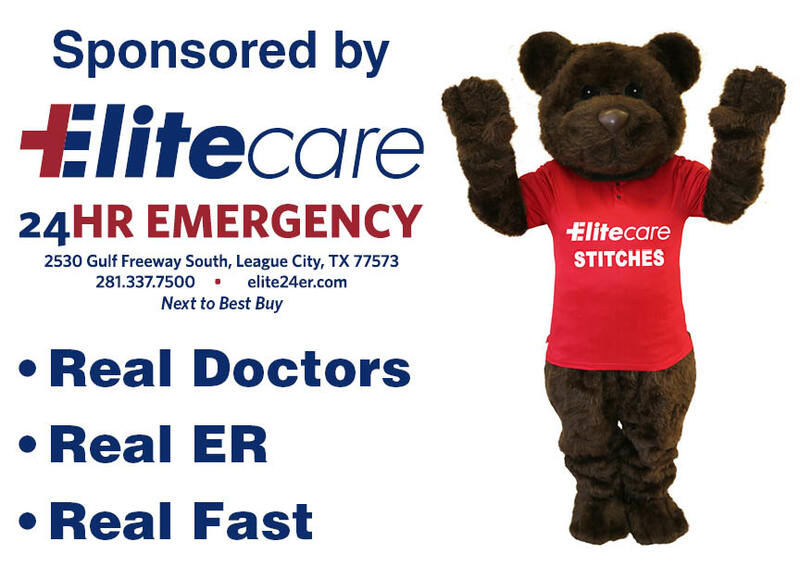 A VIP experience is also available, which will get you in the door an hour before it opens to the public and an exclusive wine and cheese pairing with HEB. This inaugural event will feature 45 of Bay Area's top restaurants, wineries and breweries serving up their finest food and drink. Besides the food and beverage tastings, guests will enjoy networking, bidding on a variety of upscale items in the live auction and enjoying music from EventWise Productions. Come for the experience and enjoy the delectable delights of the Bay Area.